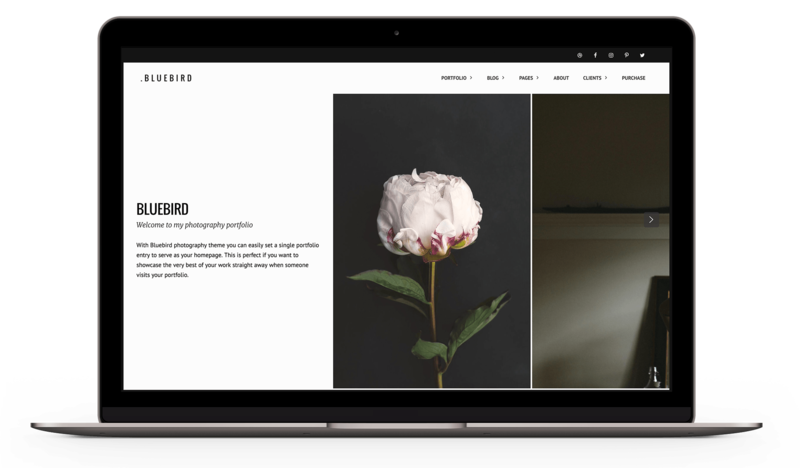 Meet Bluebird – a glamorous, sleek photography WordPress theme designed for modern working photographers. Bluebird has a professional, classy look that will suit wedding and fashion photographers alike. 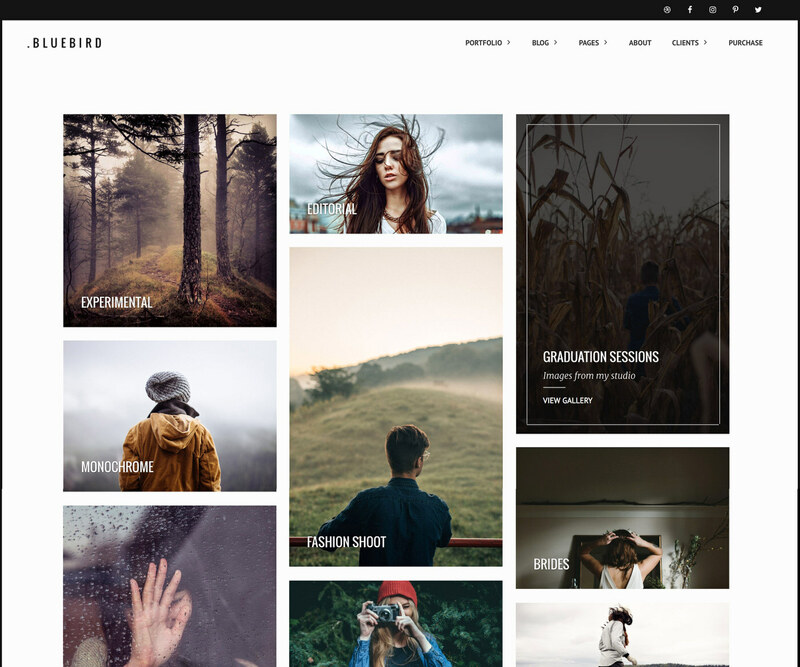 Bluebird photography portfolio theme for WordPess is a clean and modern website design that looks sleek, professional and will make your work stand out from the crowd. 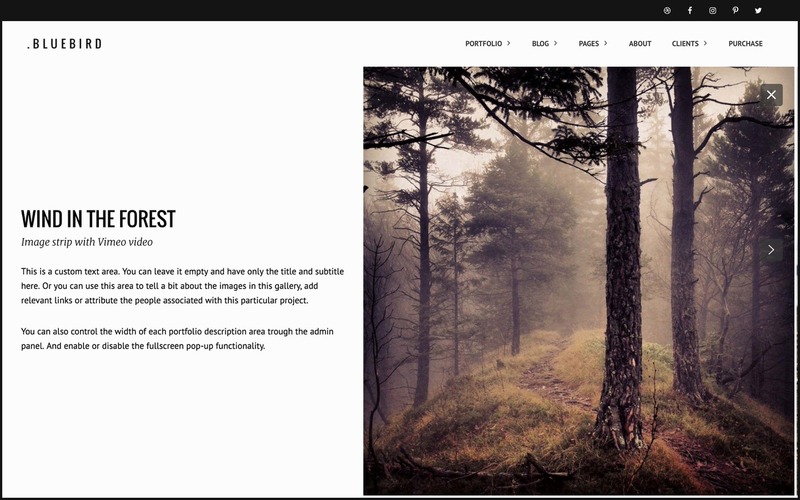 Main features include three portfolio layout options, two blog layouts, photo proofing, pricing page, “welcome page” with video background (optional feature) and more. 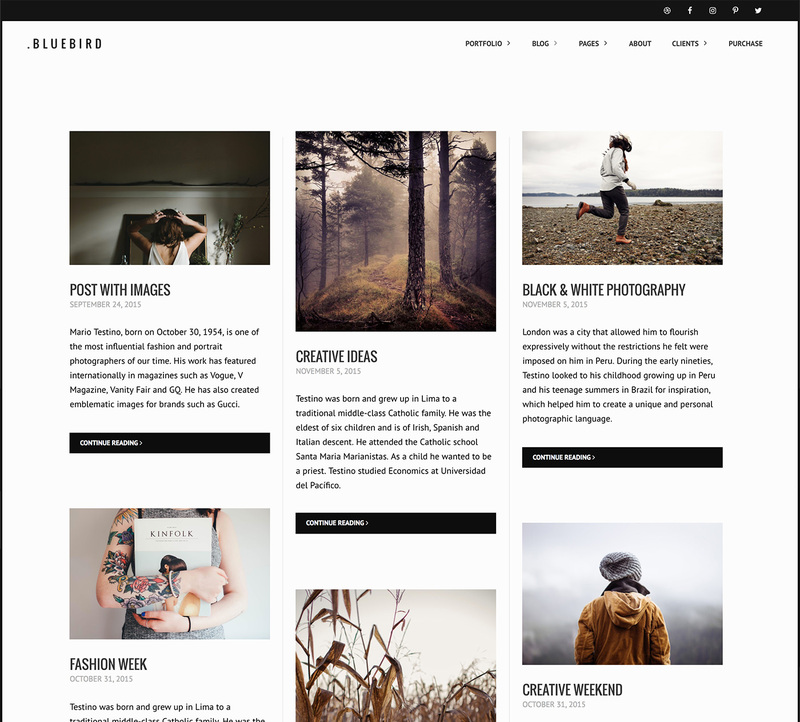 As photography theme creators, we do our best to build themes that are easy to set up and look exactly like we display them in our demos. Bluebird won’t make your head spin while you try to figure out all the knobs and dials. 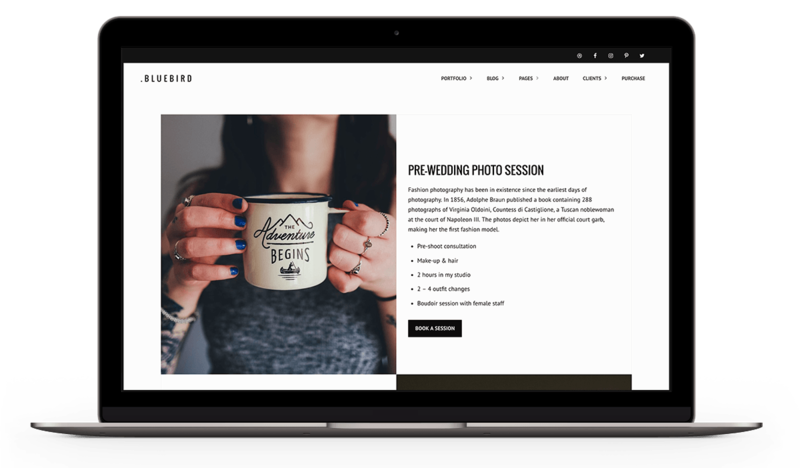 You are a photographer and you should be doing what you love most – capturing memories in images, instead of spending your precious time trying to figure out how to make your portfolio page and that is exactly why we made Bluebird! 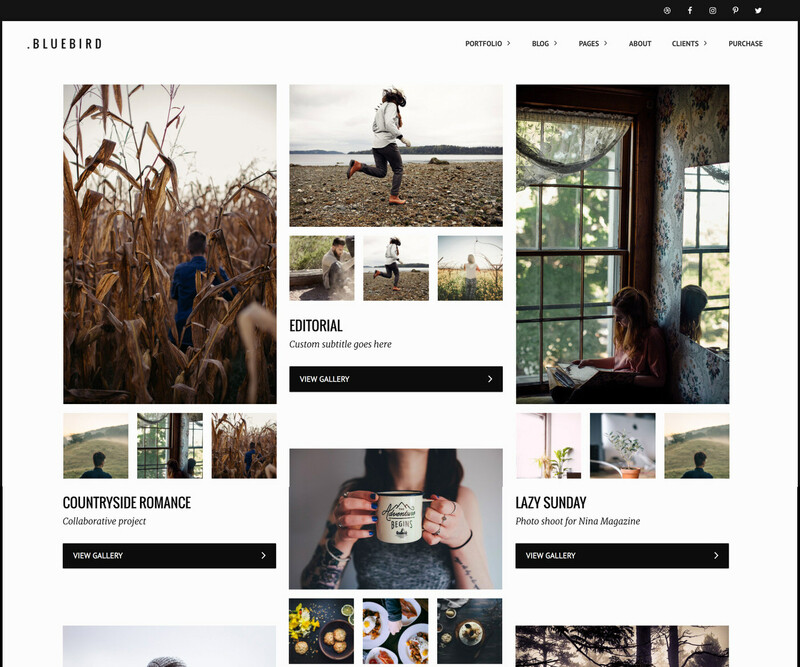 Bluebird photography WordPress theme comes with three different portfolio page layouts and three different gallery layouts to make sure you have the ability to set up your portfolio page just the way you want it to be. 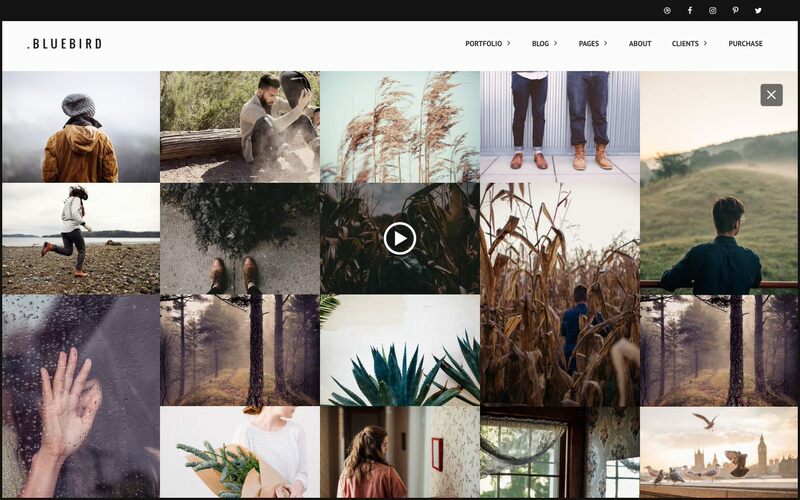 Masonry portfolio layout with thumbnails. Bluebird Photography is not just a website to put your images one, it’s a tool for you to gain more clients. 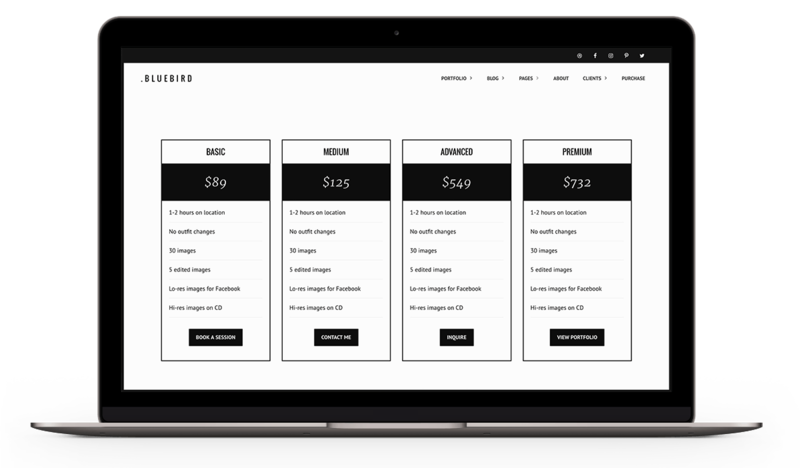 With Bluebird you can create pricing tables for your packages, services to describe what you’re offering and client area with password protection to help you communicate with your clients after the shooting is done. And you will be able to do all of it while looking professional and confident! 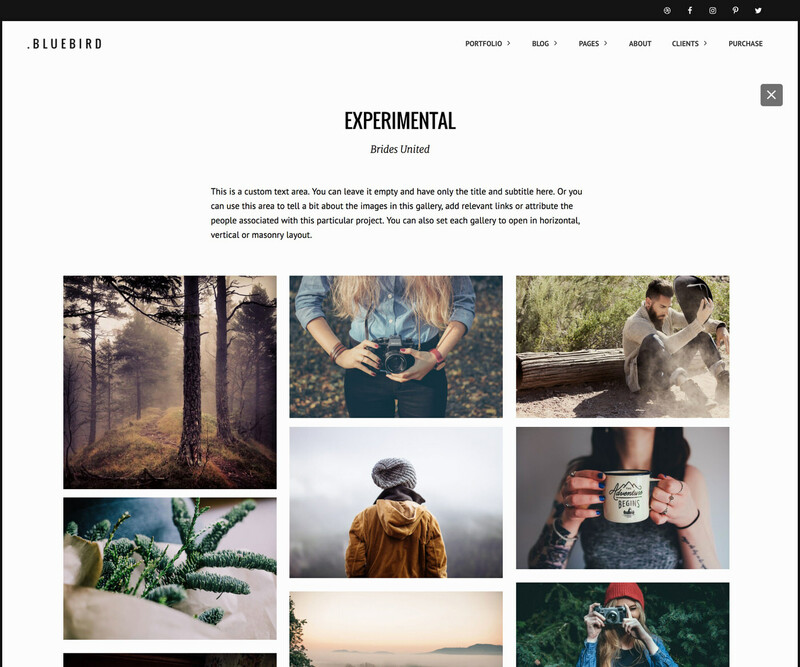 Bluebird photography theme comes with tree different blog layouts – classic, split and masonry – choose the one that suits your blogging style best and start creating the posts you always wanted to create! 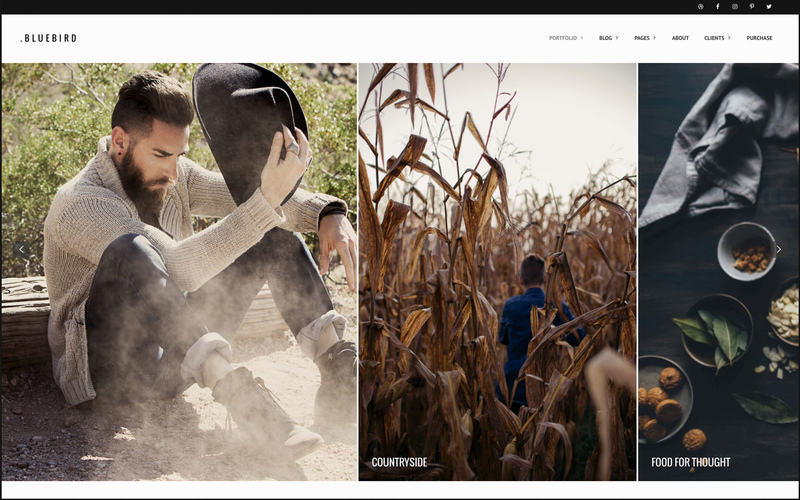 Bluebird photography WordPress theme is one of our most powerful portfolio designs. It’s elegant, easy to use and looks professional and sleek! Check out Bluebird Demo now!